This number represents 67% of the nearly 15 million biofuel automobiles sold in Brazil since 2003, when the system was launched. The data above refers to the total number of vehicles registered between 2003 and 2011, according to Anfavea (National Association of Automotive Vehicle Manufacturers). During this period, biofuel vehicles became the majority, and they currently account for 83% of all sales: a total of 1,402,672 units were sold from January to June of this year. For the consumer, the main advantage of this solution is the possibility to choose the type of fuel with the best cost-benefit ratio and, in this case, ethanol serves as an alternative to gasoline. Vegetable fuel, however, burns more thoroughly, reducing the amount of pollution released into the atmosphere. The history of flex fuel began in March 2003, when Magneti Marelli revolutionized the automobile market by launching the first flex fuel system, known as SFS® – Software Flexfuel Sensor. This technology manages the burning of alcohol, gasoline or any mixture thereof in the same engine. Consequently, drivers can choose which type of fuel to use. 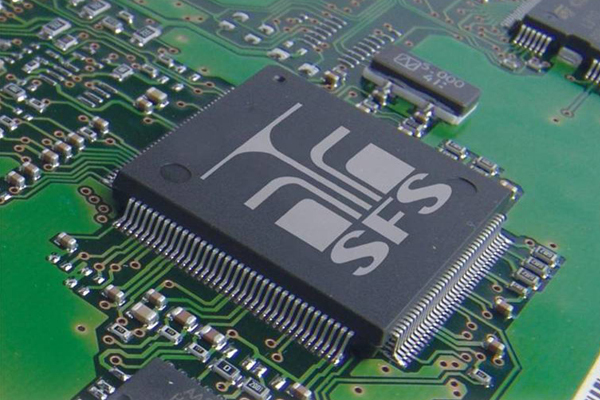 SFS® is an advanced software module fitted inside the electronic control unit, or ECU, of the car engine. This technology identifies and measures the mixture of alcohol and gasoline in the fuel tank, using information received from sensors installed throughout the fuel injection system, including the lambda sensor, which is located in the exhaust system, and other sensors for combustion, revolution, speed and temperature. Using this information, the program determines the amount of fuel to be injected in the engine and the instant that the spark plug should ignite to burn the fuel mixture. Biofuel systems in other countries require the use of an expensive physical sensor to conduct this type of analysis, something which the SFS® does not require. Magneti Marelli is currently the leader in the biofuel segment on the Brazilian market, and it supplies the system to Fiat, Ford, Mitsubishi and Volkswagen. Magneti Marelli has been operating in Brazil since 1978, with a current staff of nearly 8,500 employees. Magneti Marelli in Brasil has a total of 11 production plants and 5 research and development centers in Brazil, located in Minas Gerais (Contagem, Itaúna, Lavras) and São Paulo (Amparo, Hortolândia, Mauá and Santo André), in addition to regional sales offices in a number of main Brazilian capitals (Curitiba, Goiânia, Recife, Rio de Janeiro and São Paulo). Magneti Marelli Brazil closed 2011 with revenue of R$ 2.756 billion.